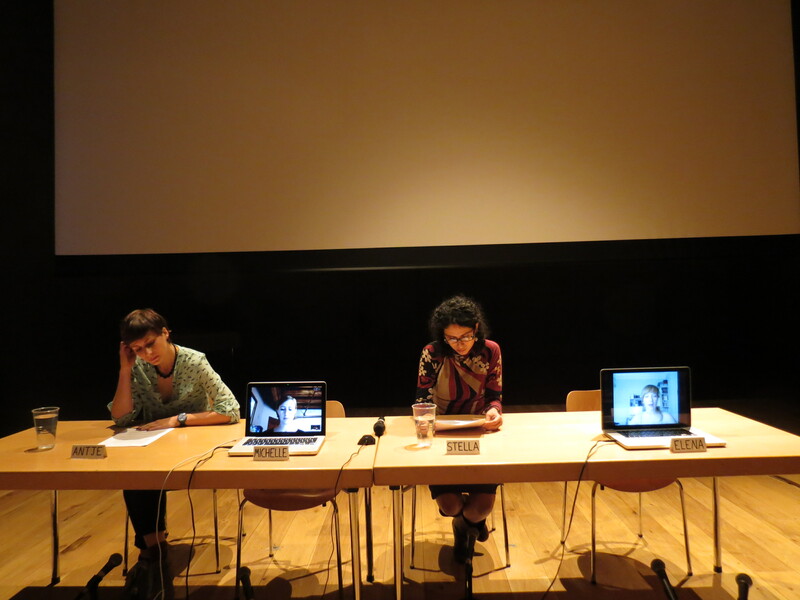 Trio: A Self-Interview is a performance that takes the form of a self-interview of the collective, which acts as a mode for questioning, understanding and performing our collaboration. The text is based on several self-interviews that took place during our creative process and served as methodological tools for our performances. The performance derives from texts developed in June 2009 and in April 2012, therefore making explicit a gap in both our personal and collective memory, as well as interrogating our collaborative process through past, present and future times. We will discuss issues arising from our collaboration including the relationship between talking and doing, different modes of communication, misunderstandings and failures, responsibility and decision-making. The members of the collective are both interviewers and interviewees –exchanging roles and seeking identities. Questioning issues of authorship and non-hierarchical working structures, we are trying to define and organise the fluid boundaries that exist within our modes of production. Seeking alternative ways to work together (not always being able to be at the same place at the same time), we have formed a virtual rehearsal space that acts as a platform for collaborative performance practice. The resulting blog is a curious archive. It flattens the perception of time as a linear development and presents it as fragmented and incomplete. It gives the illusion of Trio as a coherent entity (we are all on here together), but has yet to overcome its differences and inconsistencies.